When I picked up this book, it completely monopolized my time and took me by total surprise. I didn't expect to enjoy it as much as I did. I had to make myself put it down but that's because the author wasted no time in bringing you the story. She wasted no time is drawing you in. And just with the prologue alone she will hook you. I immediately felt drawn to Gia. I myself lost my dad to cancer too, so I was able to connect and sympathize with Gia right away. The thought of having to go home just to spend his last days with him is an inconceivable thought for her and for myself. But what's even worst is that she's going home to the place where her dad was found guilty of murdering his wife. So that also proves to be challenging. In this book you get a little bit of everything. You get suspense because there's the question whether or not Gia's dad really killed his wife or not. You get drama because of her relationship with her sister and brother. BTW, I loved her sister, even though she was a bit selfish. And most of all you get romance because she meets someone who you will end up falling in love with. He made everything easier for her. As far as if she had a rough day, he would be there later to make her feel better. I loved how Ms. Belle wrote this story. The flow was so easy. The issues and dilemma were written so addicting that I just couldn't put the book down. And she writes so good that she had me second guessing who the real murderer was. I changed my mind at least three times before I got to the end of the story. I absolutely enjoyed this book and I think those that like drama and suspense would too. 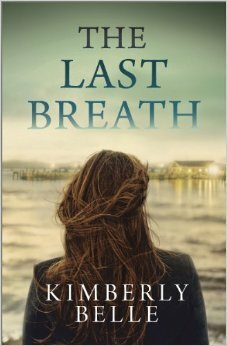 The Last Breath gets 5 huge stars and it's a definite Good Choice for Reading!! Thanks so much for this lovely review!! I'm thrilled you liked The Last Breath.